My doctor is referring me to physical therapy. Can I choose where I go? How long should I expect to be here on my first visit? How long is a doctor's prescription valid? Do I have a co-pay and how much is it? Do you accept Workers Compensation and No-Fault patients? What insurance programs do you accept? Q: My doctor is referring me to physical therapy. Can I choose where I go? A: Absolutely. Your doctor will provide you with a prescription for PT and may direct you where to attend PT. However, you have the right to choose where to go for your PT/rehab needs based on convienence of location, transportation and the PT's experience in working with your specific diagnosis or needs. 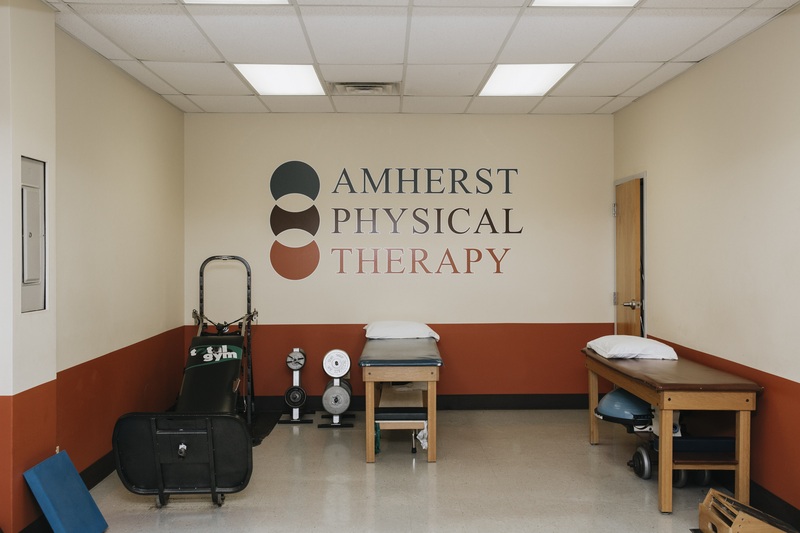 The therapists at Amherst PT will always work with your doctor in order to provide you with the highest quality care and the best possible outcomes. Q: Do I need a prescription from my doctor to come to physical therapy? A: No, New York State Law states that individuals have the right to direct acces to physical therapy without a physician's prescription for 10 visits or within a 30 day period. After that, a physician order is required. Check with your insurance provider to verify that they participate in New York State Direct Access to Physical Therapy. Q: How long should I expect to be here on my first visit? A: Your initial evaluation and first treatment will take approximately an hour and a half. Please arrive 15 minutes before your appointment time in order to fill out the necessary paperwork. Q: What do I need to bring with me for my first appointment? A: You will need to bring a doctor's prescription (Medicare,No-Fault and Workers Compensation patients), your insurance card and photo identification. Also please bring clothing that is suitable to work out in and be able to expose the area that is being treated. Sneakers/tennis shoes are encouraged. Q: What if I can't make my appointment? A: Please call our office to reschedule at 716-874-2759 in advance of your appointment time so that we may schedule another patient in your time slot. Please note that if you do not call to cancel and do not show for your appointment you will be charged a $20.00 no-show fee. Q: How long is a doctor's prescription valid? A: You will need to provide a new script every 30 days while participating in your PT program. Your doctor's office may fax the new script to us at (716) 874-2913. Q: Do I have a co-pay and how much will it be? A: All insurance plans are different. We will verify your coverage and co-pay and have that information available for you when you arrive for your first visit. We encourage you to contact your insurance company for this information ahead of time. Q: Do you accept credit or debit cards? A: Yes, we accept cash, check, American Express, Discover Card, MasterCard and Visa, including those from your health savings accounts. Q: Do you accept Workers Compensation and No-Fault patients? A: Yes, we accept Workers Compensation and No-Fault patients. In order for us to schedule your first appointment, you will need to provide us with the insurance company's name, address, phone number, the adjuster's name and your claim number. We will contact the insurance company and then schedule your appointment. Q: What insurance programs do you accept? A: We accept all major insurance companies (Blue Cross, Fidelis, Independent Health, Univera, and Your Care), Medicare and HMO sponsored Medicaid programs, No-Fault and Workers Compensation. At this time we do not accept standard Medicaid.